The VT-E BT is Pro-Ject’s first ever vertical turntable with phono stage and bluetooth transmitter. Its innovative design makes it a unique offering in the market. Not only can it be installed easily on a desktop or a wall, but VT-E BT is also available in three different finishes and looks like nothing else you've seen before. The VT-E BT is based on the popular Elemental turntable, which has won plaudits around the world for its great sound and affordable price. 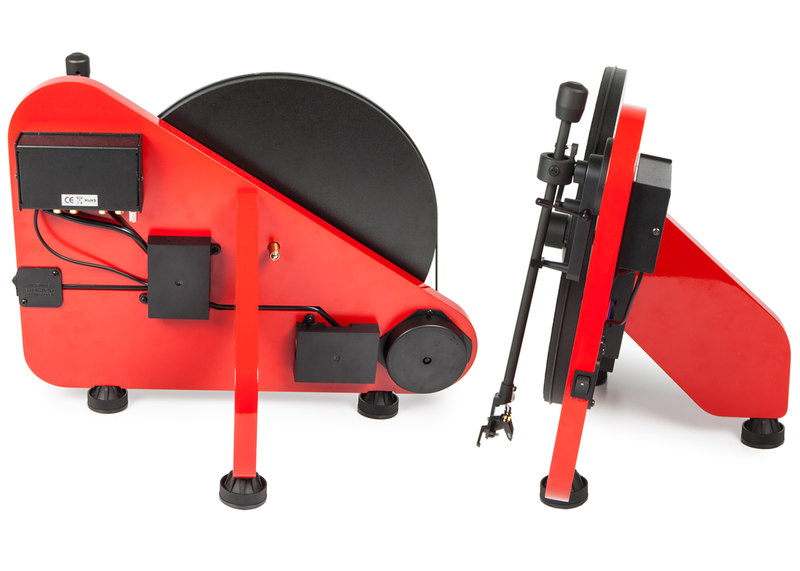 Like the Elemental, the VT-E BT has a pre-set tonearm and cartridge, so all you need to do to get spinning is install the belt and platter, then plug it into your turntable-ready hi-fi system. 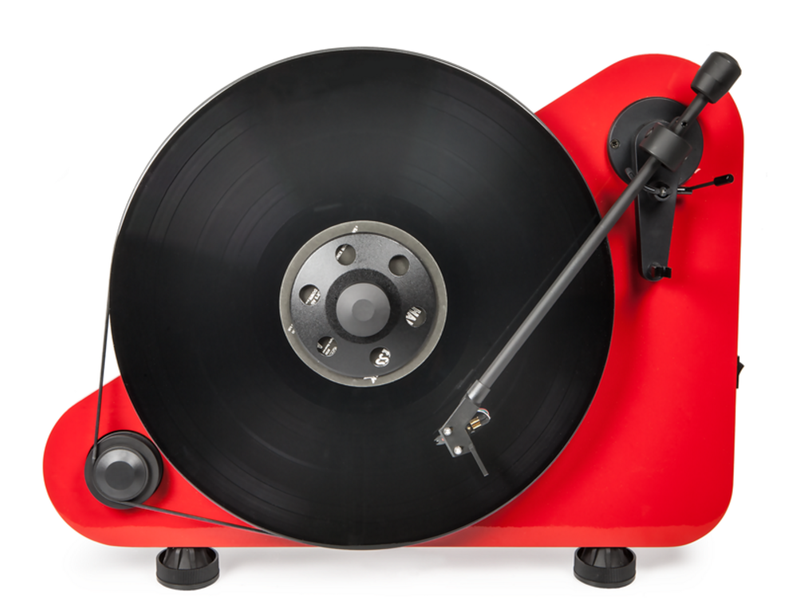 Turntable set-up does not need to be complicated or arduous, and VT-E BT proves that. 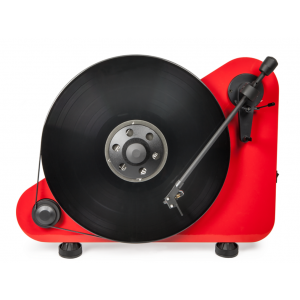 The plinth and platter are made from acoustically neutral medium-density fibreboard, and the supplied record clamp ensures the record does not slip on the spindle during playback. When mounting on a desk, the supplied feet and back-support create a sturdy tripod that isolates well from external vibrations. Alternatively when mounting on a wall the supplied mounting kit ensures a reliable fixing to the wall’s surface. The VT-E BT’s motor is the same proven design as found in other Pro-Ject turntables, and boasts a built-in AC generator for reliable speed stability and minimal noise. The tonearm is the same aluminium design found on the Elemental, but its specially-designed spring mechanism allows for accurate tracking of the record, even though it’s being played vertically. The VT-E BT is equipped with an integrated switchable phonostage and bluetooth transmitter offering flexibility for wired or wireless play back of your vinyl records. The VT-E BT is available in gloss black, red or white finish, and is supplied with all required accessories.